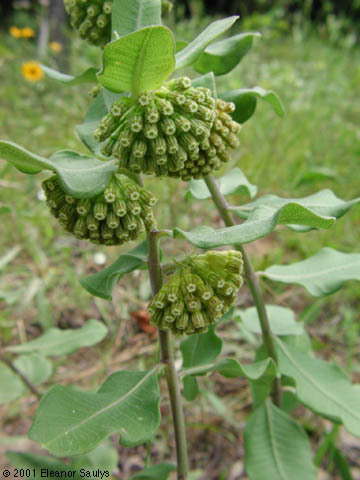 Asclepias viridiflora. Eleanor Saulys.ct-botanical-society.org. (Accessed 6/2014). Asclepias viridiflora is a perennial 30-80 cm tall, stems erect to prostrate, often numerous in same area, possibly colonial. Leaves opposite, shape very variable, thick, oval to lance-shaped , tip blunt. Asclepias viridiflora (green milkweed) flowers close-up. By Keir Morse. Copyright © 2017 Keir Morse. www.keiriosity.com. New England Wild Flower Society. gobotany.newenglandwild.org (Accessed 10/2017). 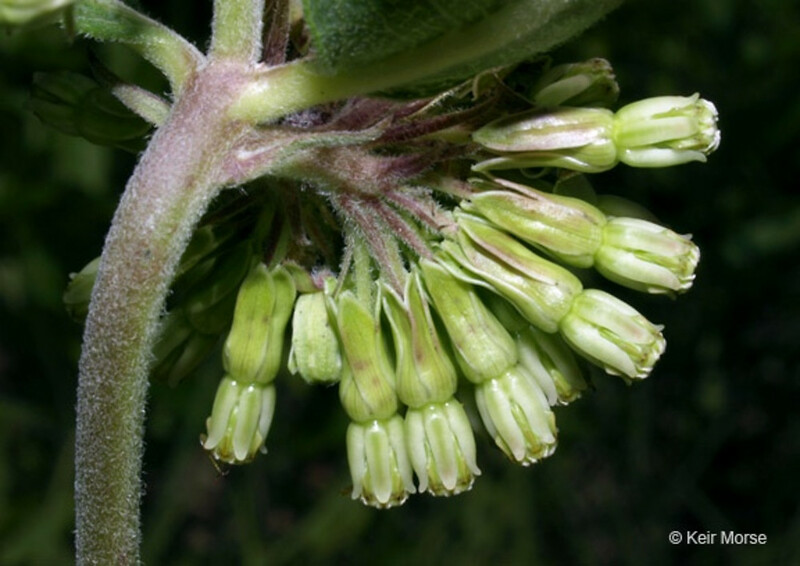 Flowers green, radially symmetrical (see Asclepias Genus), about 1 cm long, crowded, in umbrella-shaped clusters with little or no stalk. 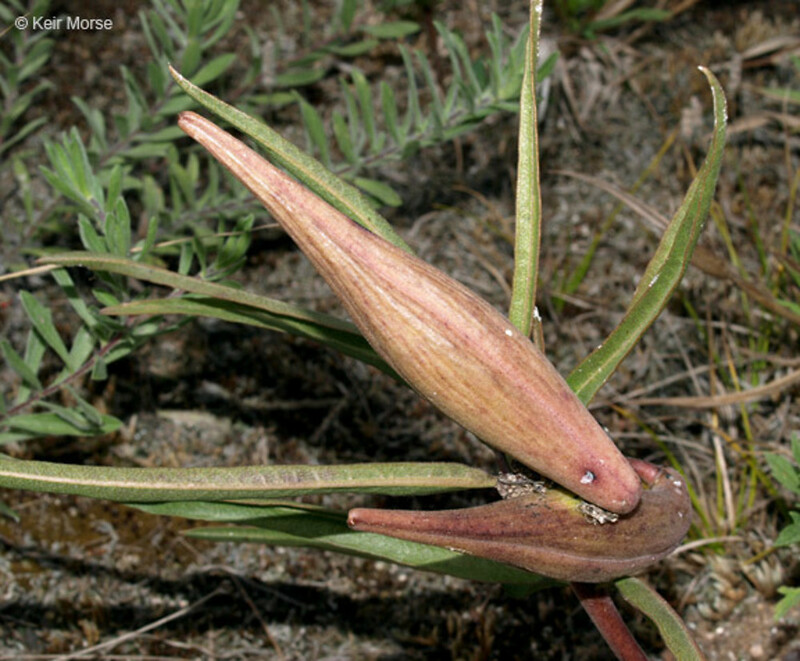 Fruit dry, pods 8-11 cm long, slender, splitting open to release seeds with silky tufts of hairs. Asclepias viridiflora fruit. By Keir Morse. Copyright © 2017 Keir Morse. www.keiriosity.com. New England Wild Flower Society. gobotany.newenglandwild.org (Accessed 10/2017). Frequency in NYC: NYS Rare, S2, T.
Habitat: Dry open, sandy soil or rocky barrens. Notes: Insect herbivores mostly Hemiptera (bugs), (Wilbur 1976).